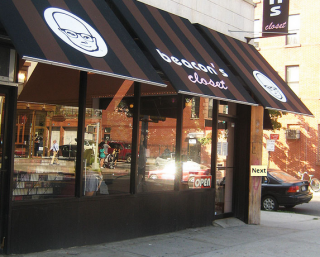 Beacon's Closet buys, sells, and trades used fashion items. Being more fashion oriented, their purchases are determined by the level of demand for it. Part of their proceeds are regularly donated to a variety of ethical charities.